Alexandra has also developed deep knowledge in the field of derivatives and regularly advises clients on a wide range of derivatives, structured notes and securitization transactions in the municipal and tax-exempt markets. She advises on derivatives regulation and strategy, including the requirements of Dodd-Frank related to business conduct standards, the swap push-out rule, swap definitional rules, clearing, margin and end-user issues, and well as the development of regulatory compliant documentation. 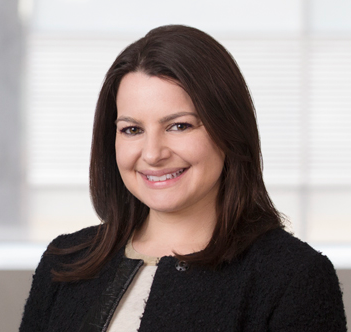 Alexandra also advises financial institutions and other market participants in connection distressed municipal debt offerings, and bankruptcy and restructuring issues in the municipal and tax-exempt markets. Alexandra is a frequent speaker and writer on various topics in FinTech and blockchain, with a particular focus on distributed ledger technology, blockchain tokens, and related regulatory issues. Alexandra is also a member of the Futures and Derivatives Regulation Committee of the Association of the Bar of the City of New York and a member of the Innovative Digitized Products and Processes Subcommittee and the Derivatives and the Futures Law Committee of the American Bar Association.